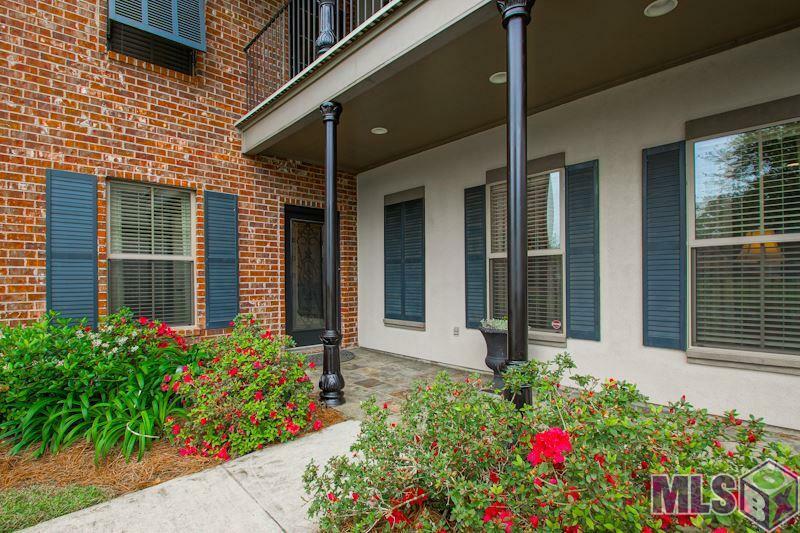 Must see this beautiful New Orleans style spacious 4 bedroom and 2.5 bath home in Green Trails. This home features wood floors, Granite countertops, privacy fence and amazing screened back patio. Beautiful professional landscaping, iron poles and tiles front and back patio and an iron fence courtyard in front â awesome curb appeal. The kitchen features a corner walk in pantry, Granite countertops, island, stainless steel appliances and large window over the sink. This home features a breakfast area and a formal dining room. The floorplan is great for entertaining. The large master bedroom is downstairs and has a His and her sink area, separate Jacuzzi tub and shower with pebble stone and a Huge closet with new wood shelves and hanging rack. Beautiful Oak wood stairs with a runner to stay. Upstairs has 3 bedrooms with a large loft area and currently a portion being used as an office. Then there is the balcony that you can enjoy the outdoors without all the bugs and has a fantastic view of the water. This property did not flood and in Flood zone X.